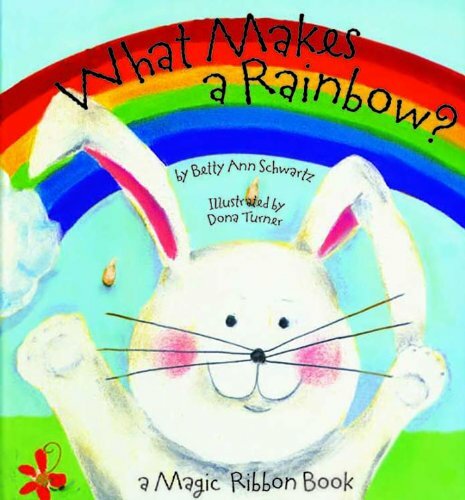 Picture books about rainbows are a terrific way to teach children all of the colors as well as the emotions they emote. Perhaps it’s the feet upon feet of snow lying on the ground or the fact that St. Patrick’s Day is around the corner. But I have been dreaming of the signs of Spring lately, which includes rainbows! 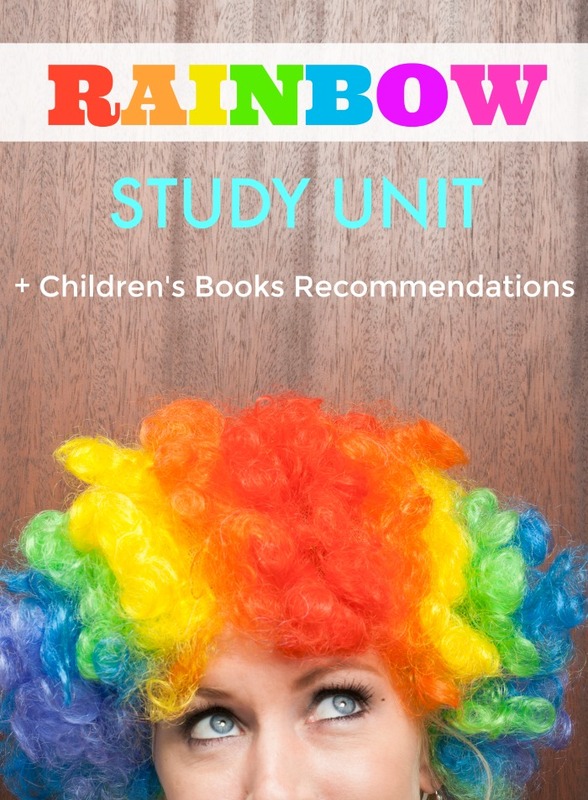 In addition to recommending rainbow children’s books, I’ve teamed up with some fellow bloggers to offer you homeschool and classroom resources to teach kids about rainbows! You can find these picture books about rainbows at your local library or purchase through the affiliate links provided for your convenience. What Makes a Rainbow? : A Magic Ribbon Book: A rainbow of ribbons magically appear when you open the pages of this innovative book! Toddlers will love listening to the charming story and seeing a different colored ribbon with the turn of each page. The last page is sure to delight with all the colors of the rainbow. What a fun way to learn colors! 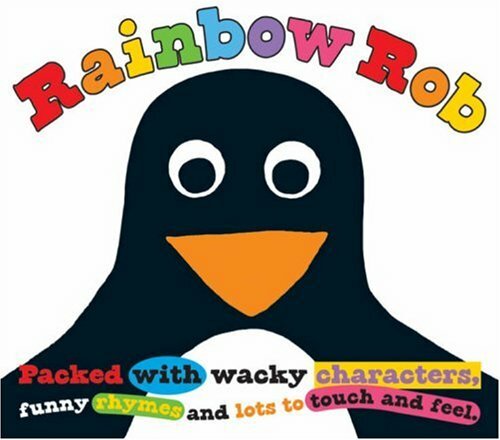 Rainbow Rob: A heart-warming tale of a penguin who learns to love being himself. Includes: fun, whimsical story and characters; fun text to read and listen to; cartoon-like artwork; and touch and feel fabrics integrated into artwork on each page. The Rainbow Book: Emotions are as bright and unique as rainbows. The Rainbow Book explores the relationship between colors and sentiments they might inspire. Does yellow suggest happiness? Is blue peaceful? Set against a deep black background, each page reveals an intricate paper-cutting in a single color and the emotion it suggests. Each turn of the page reveals another color, leading to a bright rainbow of feelings. 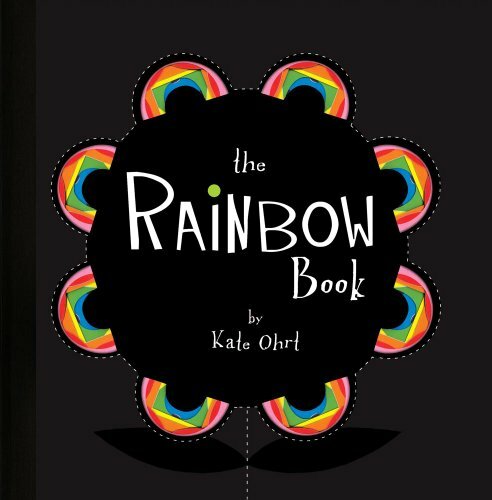 The Rainbow Book culminates with a bright, fold-out rainbow that lets all its colors show. 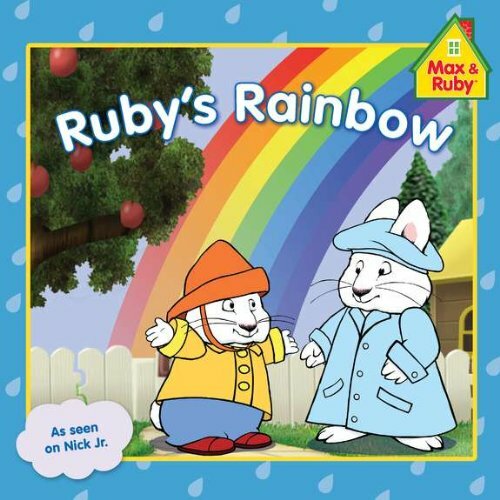 Ruby’s Rainbow (Max and Ruby): In this 8 x 8 storybook, Max and Ruby need something to do during a rainy day. Ruby decides to paint a rainbow for Grandma. But Max wants to play in the backyard! When Ruby has trouble remembering the colors of the rainbow, Max’s red boots, orange hat, and yellow raincoat give her all the right clues. 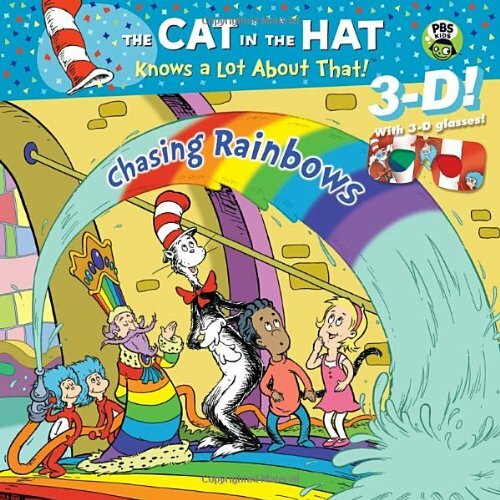 Chasing Rainbows (Dr. Seuss/Cat in the Hat): Sally and Nick want to paint rainbows, but they don’t know what colors to use, or what order to put the colors. And where do rainbows come from, anyway? The Cat in the Hat is not quite sure himself, but he knows someone who will know—King Kaleidoscope, ruler of Colorgalore! Features 3-D artwork on every page—and a pair of 3-D glasses! 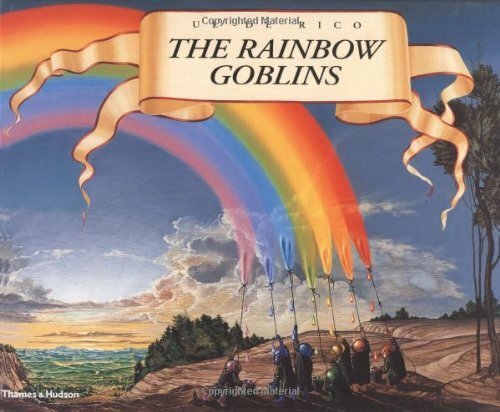 The Rainbow Goblins: Since its original publication in 1978, the fantastic colors, amazing detail, and sweeping scope of The Rainbow Goblins have irresistibly invited tens of thousands of children to plunge their imaginations into its vivid world. 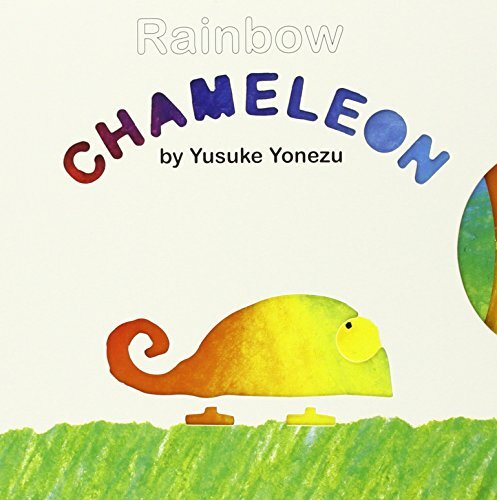 Rainbow Chameleon: Some changes can be quite important in life, which the chameleon discovers when he changes colors in order to hide from a snake, a wolf, and a crocodile. But sometimes one also has to change in order to be noticed—especially when a lovely lady chameleon enters the picture. This playful, hands-on journey to learning that change can be a positive thing features color dials and pull-tabs in addition to gorgeous, inviting illustrations. The Magic School Bus Makes A Rainbow: A Book About Color: The class rides into a whitelight pinball machine to learn about the dazzling wonders of color and light. 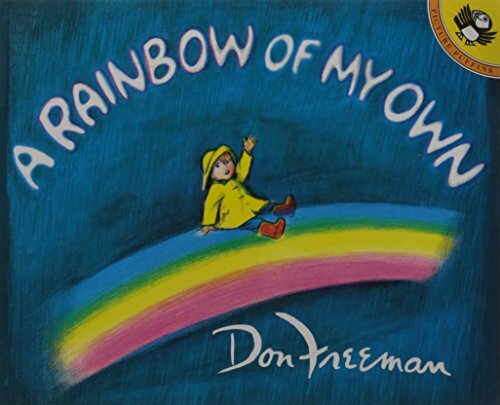 A Rainbow of My Own: A small boy imagines what it would be like to have his own rainbow to play with. 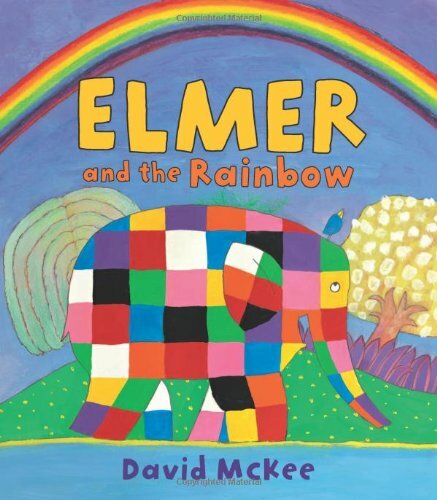 Elmer and the Rainbow: Elmer is sad when he discovers that the rainbow has lost its colors. He wants to help, but what will happen if he gives the rainbow his own colors? Will he lose them forever? Planting a Rainbow: This educational and enjoyable book helps children understand how to plant bulbs, seeds, and seedlings, and nurture their growth. 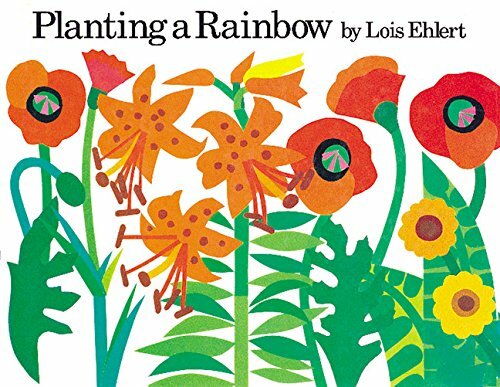 Lois Ehlert’s bold collage illustrations include six pages of staggered width, presenting all the flowers of each color of the rainbow. 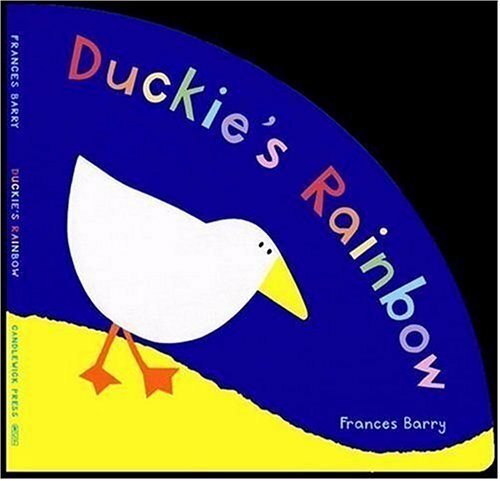 Duckie’s Rainbow: Duckie’s in a hurry to get home because it looks like rain. 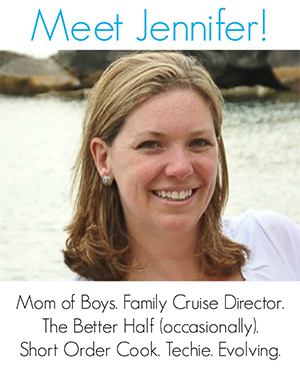 Join her on her journey home through the red poppy field, under the orange bridge and past the big green tree. With each turn of the page the landscape changes colour – leading to a wonderful surprise at the end! 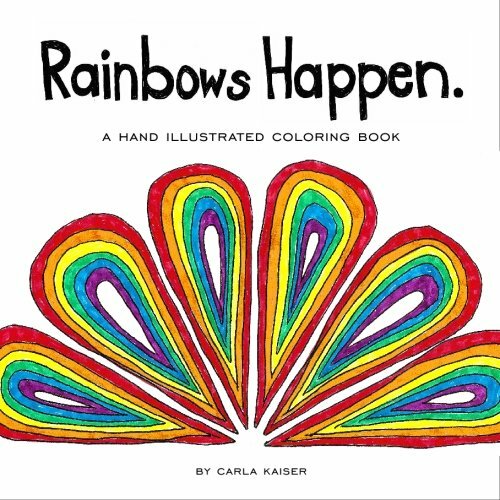 Rainbows Happen: a coloring book: Specifically designed for people who like to color rainbows. Each page in this book features a hand lettered message such as “I like you,” and “You’re special.” Each message is surrounded by a decorative rainbow design. 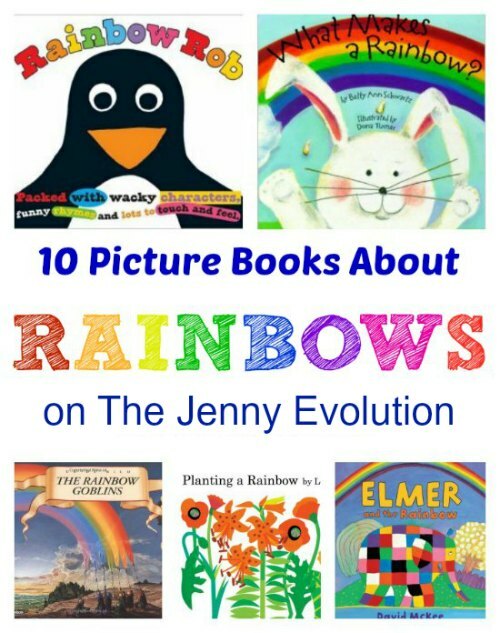 Like these picture books about rainbows? Find even more engaging book lists for kids with more than 100 book-themed reading lists! In addition to recommending rainbow children’s books, I’ve teamed up with some fellow bloggers to offer you homeschool and classroom resources to teach kids about rainbows! These unit study resources may contain affiliate links. Rainbow Crafts for Kids from Look! We’re Learning! I love the Cat in the Hat chasing rainbows choice! Rainbows are happy. Such a great topic for kids’ books. I always enjoyed the Elmer books. My kids loved the vibrant colors. Great share. We have rainbows on Story Snug today! Am going to pin some of your book suggestions to our Pinterest board.